Forgot your password? No problem. 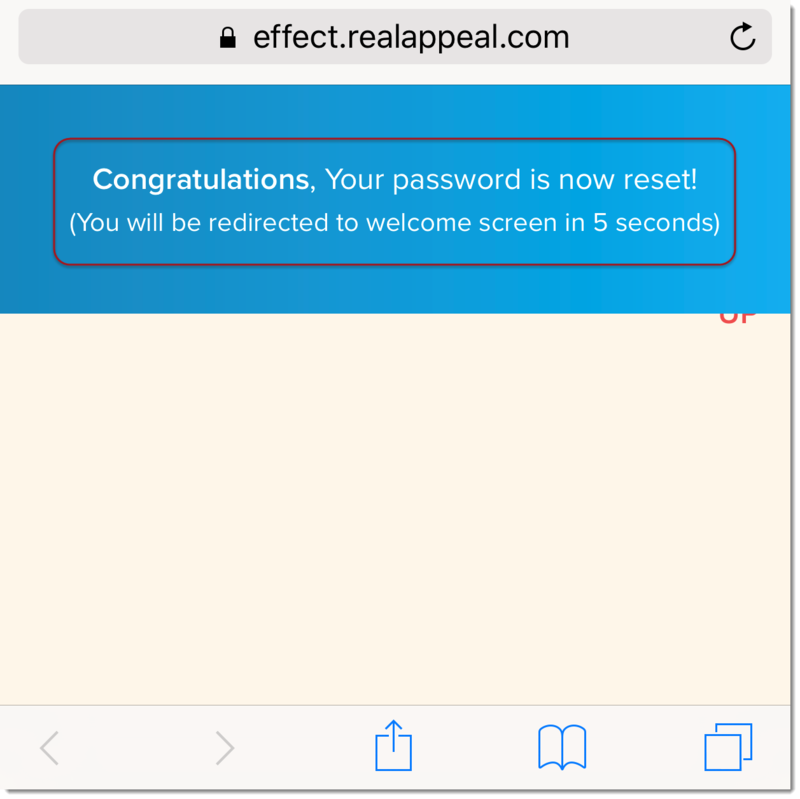 It's easy to reset your password from either the Real Appeal Effect website or app. Follow the instructions below to do so. 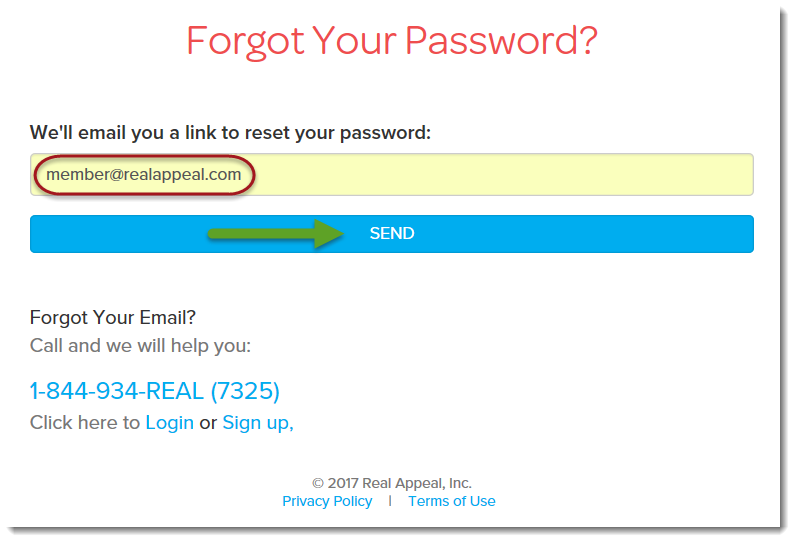 If you are unable to log in to the Real Appeal Effect website, first verify you are using the correct email address. 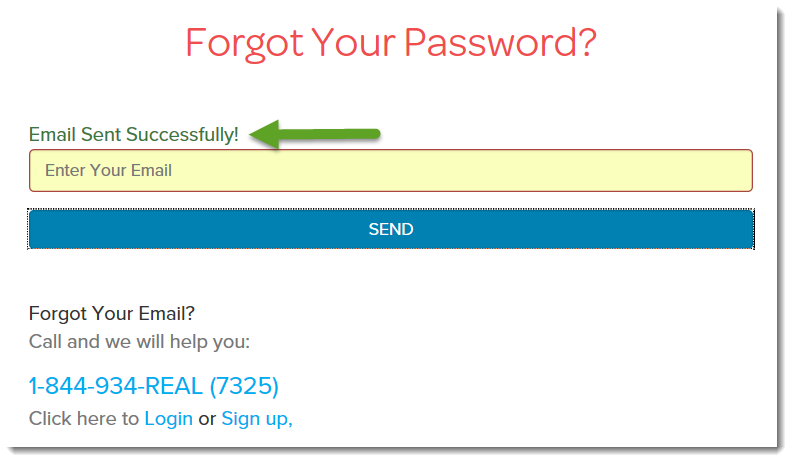 If you updated your email address in your account settings, you will need to enter that new email address to log into your account. When you see the message Email Sent Successfully! 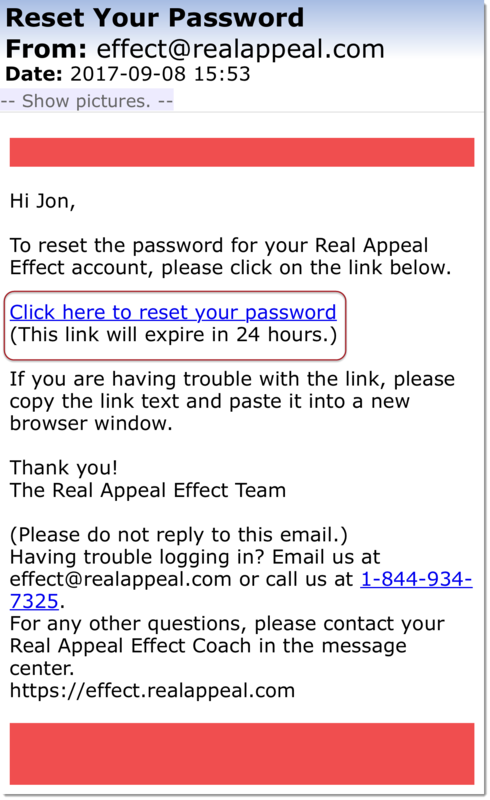 on the password reset page, check your email for an email from Real Appeal Effect Support. If you don’t see the email in your Inbox, check your junk and/or spam folder. 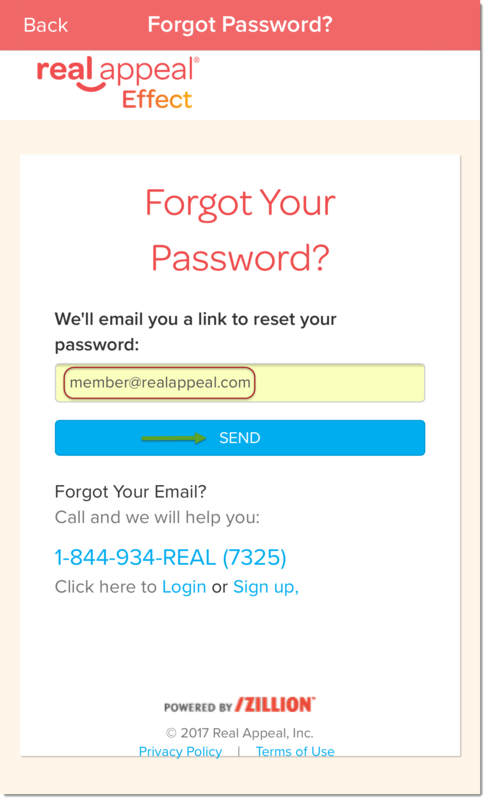 Note: Your password reset link will expire after 24 hours or if another reset link is requested. 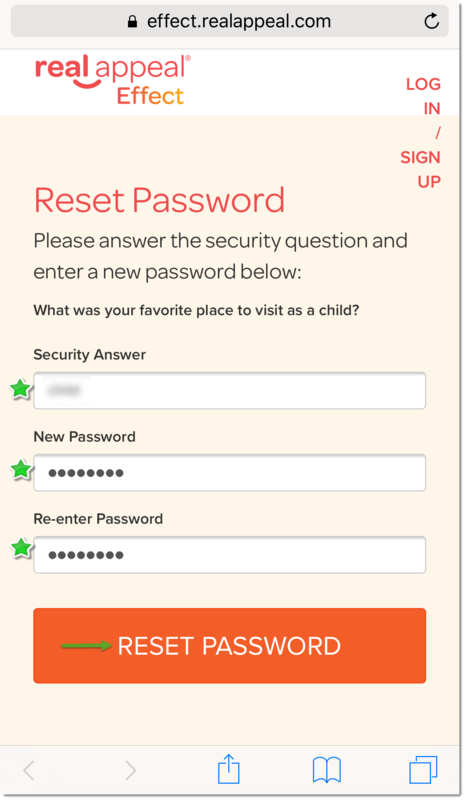 Type in the answer to your Security Question, type in a New Password (must have one capital letter), Re-enter your new password, click Reset Password. You will see a confirmation that your password reset was successful. You will be directed to the home page to log in with your email address and new password. 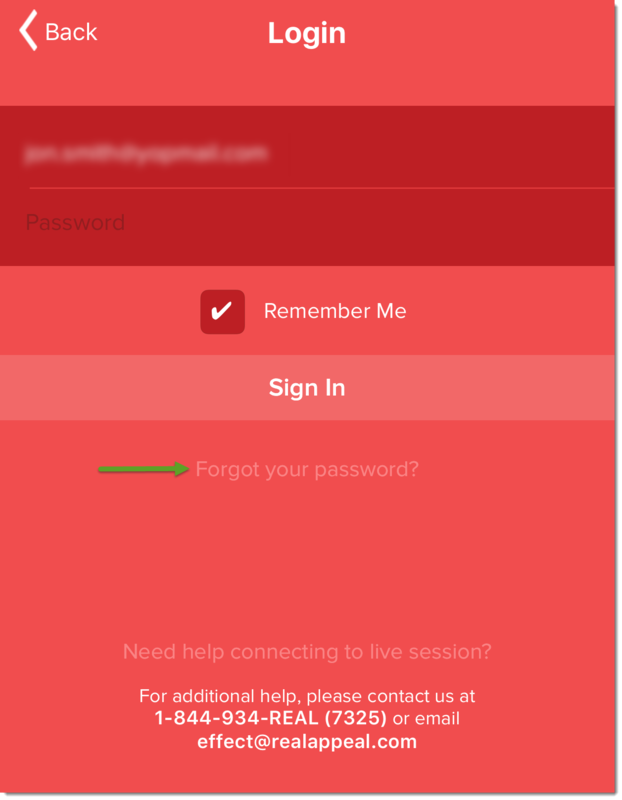 From the home screen, tap Forgot your password? Enter your email address and then tap Send. When you see the message Email Sent Successfully! 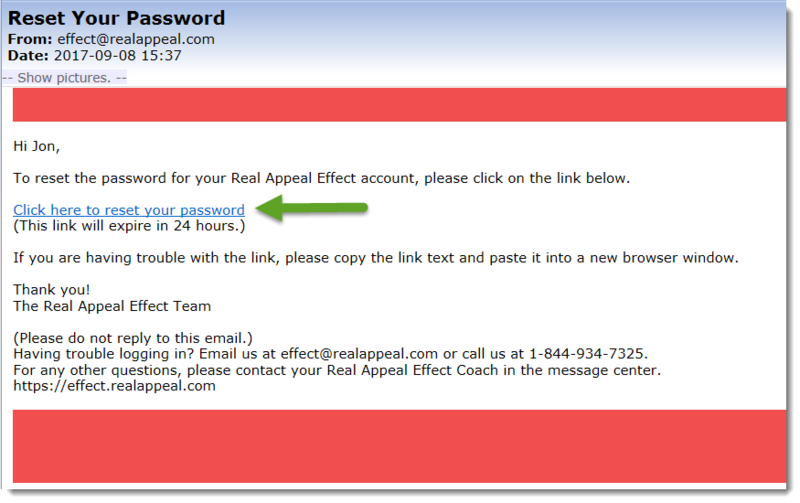 on the password reset page, check your email for an email from Real Appeal Effect Support. Please allow a few minutes for your password reset email to arrive. If you don’t see the email in your Inbox, check your junk and/or spam folder. Tap the link provided in the email. 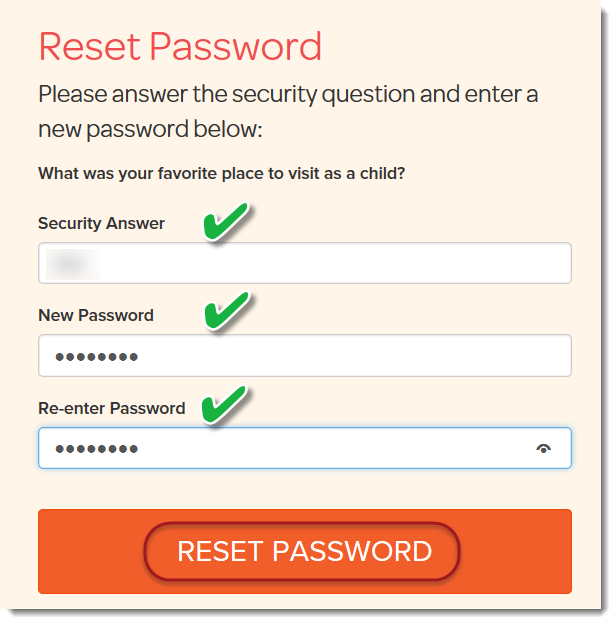 Type the answer to your Security Question enter a New Password, then confirm your New Password. Finally, tap Reset Password. You will be redirected to our website. 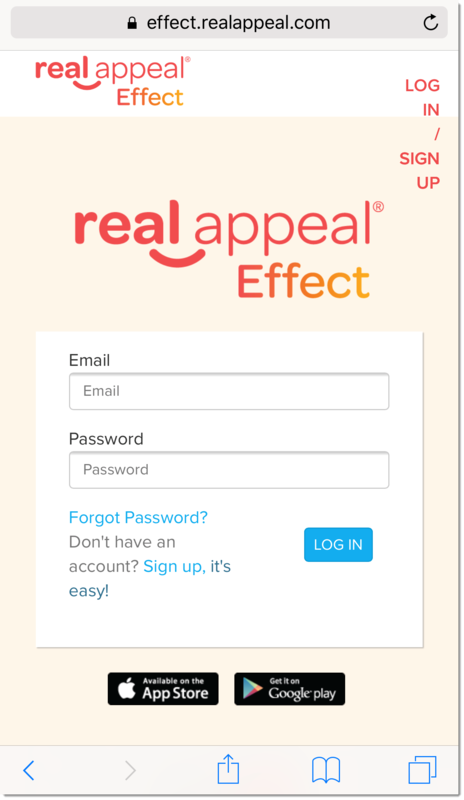 Close this page and return to the Real Appeal Effect app to log in with your new password. Don't worry if you forgot the answer to the security question that you set up. We're here to help. 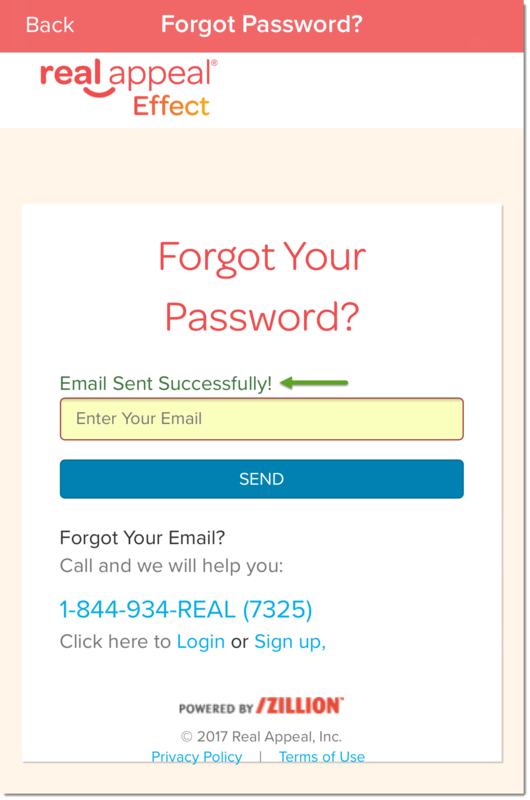 Please call us and we'll be happy to help you reset your security question so that you can change your password successfully. We can be reached at 1-844-934-REAL (7325) Monday through Friday between 4 am and 8 pm Pacific Time.